Us ladies generally know there are many options for our faces, we complain about our necks, but we seldom give attention to our hands beyond a manicure. If we do notice the increasing changes, we rely on expensive and ineffective hand creams. So, what’s changing? 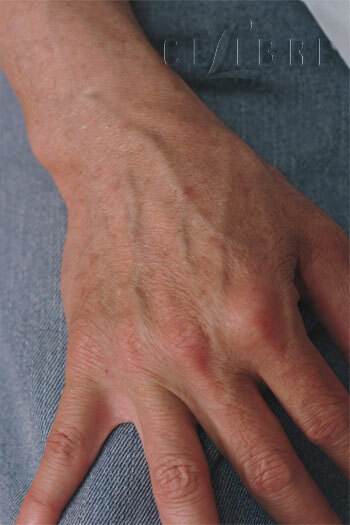 As time marches on, the skin and padding of our hands begins to thin out, we lose volume, the skin becomes more crepy. It is these cascade of events that then allows structures that are usually tucked in tight to become more visible – crazy making visible. 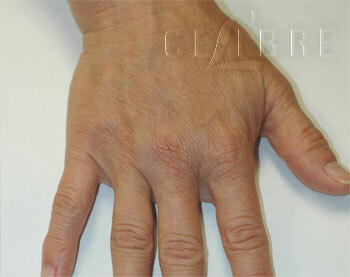 Examples: large, bulging veins, bony structures are more prominent, tendons and ligaments give a more ropy appearance. Those that know me know that I am not a fan of my own hands. 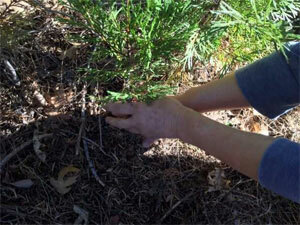 They work hard and are usually cutting wood and digging in dirt while on my little homestead in the mountains. Arthritis has now set in which makes me a little more self-conscious. The last thing I want to do is have a manicure that will bring more attention to these paws besides being too lazy and frugal to want to rely on this service. I have been a patient unto myself to use the three treatment plans outlined below, and I want my female patients to know that options do exist. Whatever name we give them (ex: sun, liver, or age) brown spots have got to go! 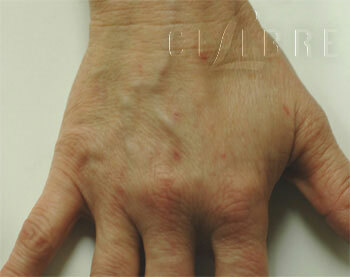 Using our Q-switched YAG lasers, we are able to effectively remove these with no downtime and with only 1-2 treatments. This is my favorite laser for several reasons, but for brown spots – it’s the gold standard. 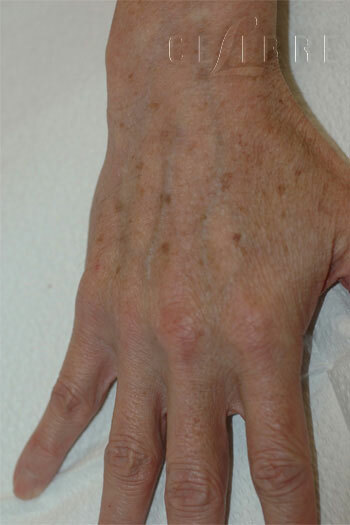 Lasers and moisturizers work to soften and improve the skin of the hands, but what are the options for the other issues? First and foremost, my favorite and direct approach is to use filler injected into the hands superficially under the skin. The reason for this is to restore volume AND camouflage the structures when the filler flows above and around the landscape of the hands. 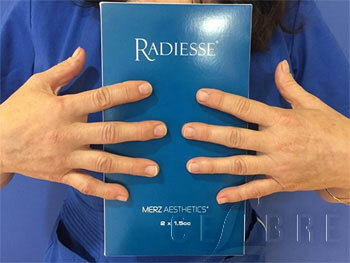 Most patients benefit from 2 syringes of Radiesse one to two times per year. Results are immediate and support a good duration. A secondary approach is to use sclerotherapy to resolve/remove the larger veins that are not needed. This involves a chemical solution that is injected directly into the vessels. Results are achieved with treatments spaced six weeks apart and may require 2 to 3 (average) treatments for optimal results. Personally, I believe the use of filler offers the best financial investment with a more immediate effect. Using both treatment plans is also an option as well.